A new Decentraland Chrome extension has now been released. Announced by Federico Miras, software engineer at Decentraland, the extension allows users to view all LAND prices in various currencies when using the marketplace. 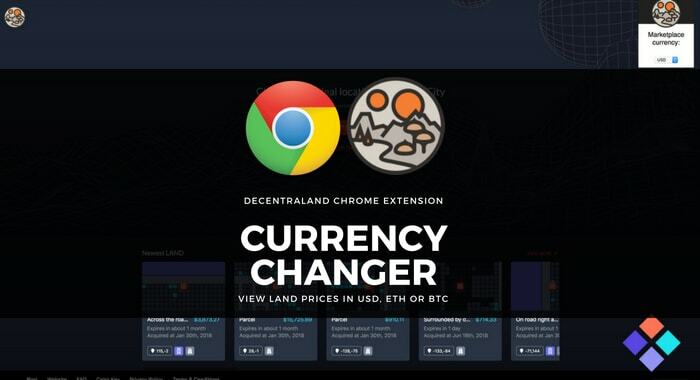 Previously all LAND prices were only listed in MANA, but now with this new Decentraland Chrome extension it is possible to change the view so all LAND prices are listed in either USD, ETH or BTC. This is yet another step forward in the evolution of the Decentraland marketplace and will undoubtedly help LAND investors to make more informed decisions on their investments. Part 2: How Important is Decen.. Effective Ways of Investing in..